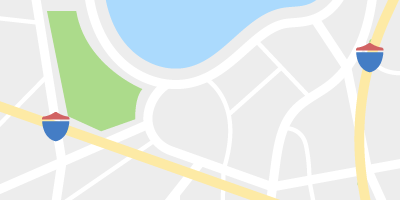 It’s hard to believe that there are any secrets in Las Vegas. The city tends to favor over-the-top displays of grandeur over subtly. Nightclubs feature giant chandeliers and Cirque du Soleil dancers. Casinos don’t just close; they’re imploded with flourishes of fireworks. And yet even among the dazzling displays of neon, Las Vegas has its share of secret restaurants and bars. For those who believe that the best slice of pizza is at the end of a nondescript hallway and the most memorable cocktail is served at a bar with a password, here’s exactly where to go. 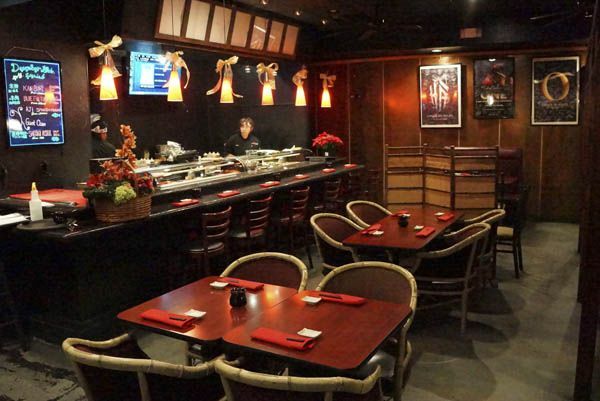 This blink-and-you’ll-miss-it spot sits alongside Yummi Grill & Sushi in Summerlin. 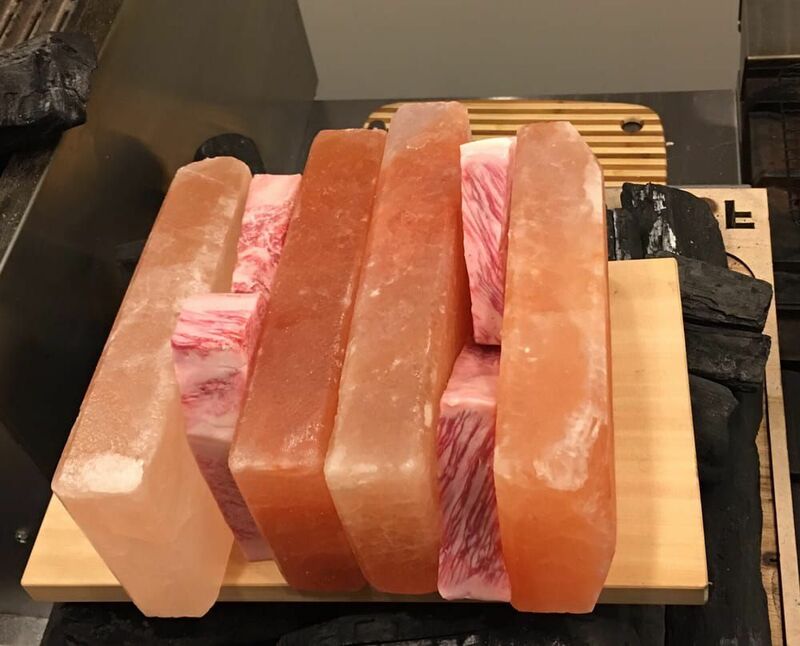 The omakase-style sushi restaurant, which offers two seatings nightly Monday through Saturday, takes diners on a journey of fresh fish over multiple courses. 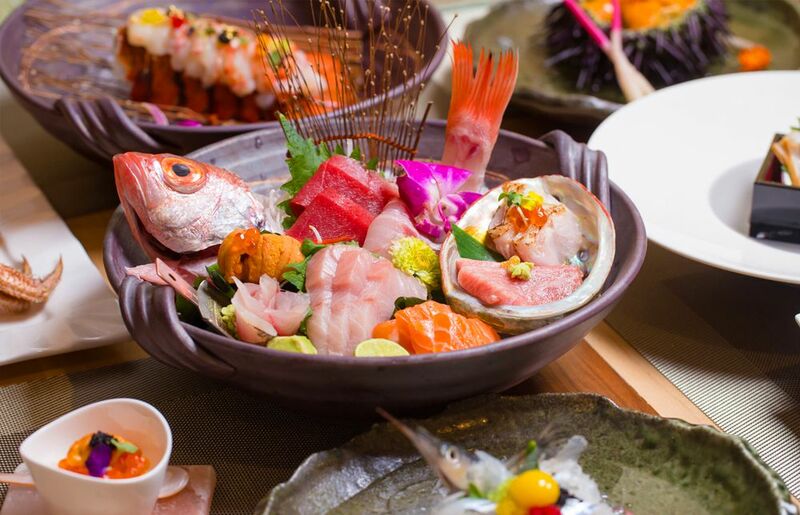 For $165 per person, sushi lovers gain access to an exclusive experience and rare, seasonal fish selections. What better place for a speakeasy than in the basement of the Mob Museum? The Underground pays homage to Prohibition-era speakeasies with Art Deco design and a working distillery plus artifacts from the 1920s. To access The Underground, patrons must ring a bell and provide a password. Once inside, they can order classic cocktails and moonshine and enjoy live jazz. A short trip down an alley between Sixth Street and Las Vegas Boulevard reveals the entrance to Mike Morey’s Sip’n’Tip. 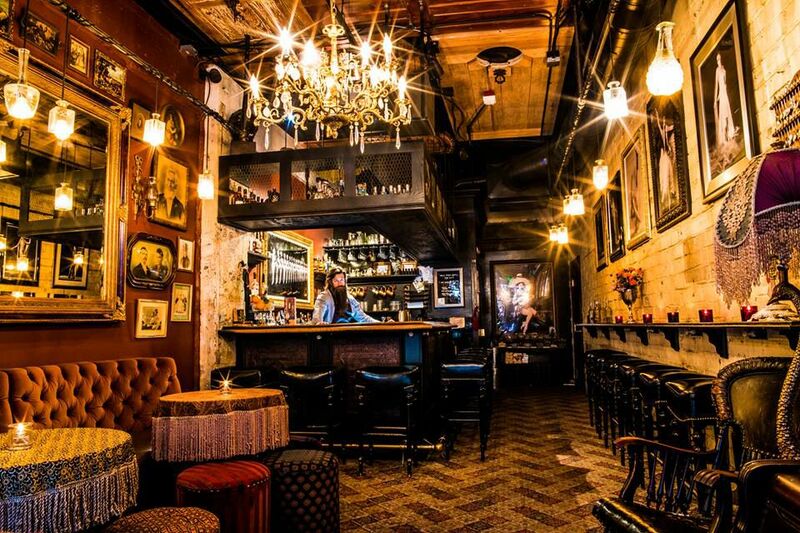 The darkened, intimate bar was originally an event space for the adjacent Downtown Cocktail Room and now offers a simple space for locals in the know and enterprising tourists to order beer, wine, classic cocktails, and shots. The chandelier-adorned downtown spot Commonwealth already oozes cool, but hidden inside is something even more stylish than the bar’s main room. 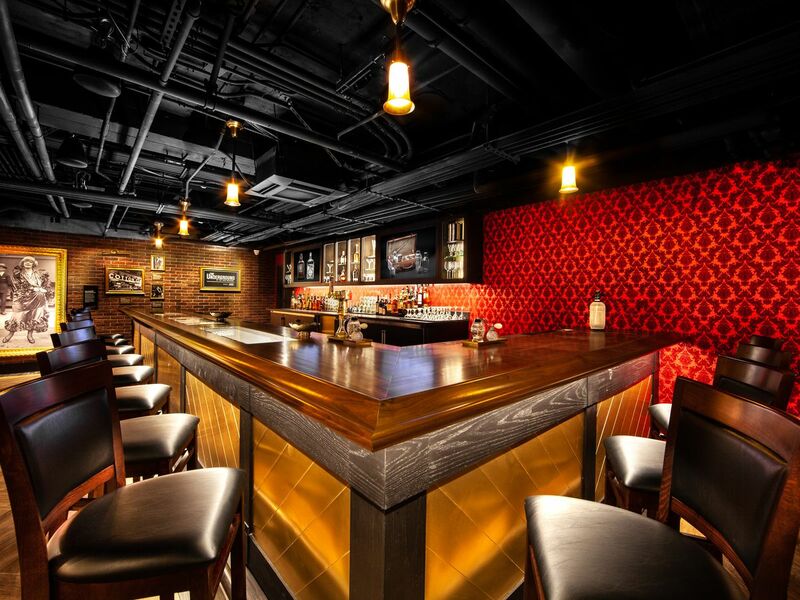 The Laundry Room is the Commonwealth’s take on a speakeasy. 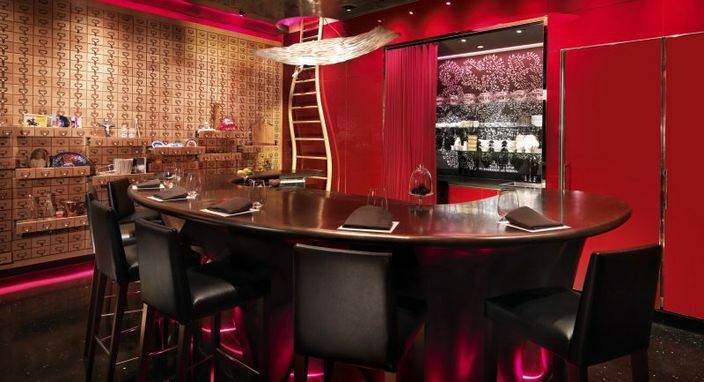 The tiny, elegant space can only be accessed by texting 702-701-1466 and requesting a reservation and directions. Yaki-ba is an under-the-radar chef’s table experience at Yui Sushi. Only two tables are available in this hidden, reservations-only back room of the restaurant. Those who seek out Yaki-ba will find a five-course dinner centered around certified Wagyu beef, which is available in four-ounce or seven-ounce portions. The menu also includes sake, owan soup, and wine and beer selections. Perched on the 36th floor of the Venetian, the Paiza Club is a dining experience that’s so secret, the average Las Vegas tourist isn’t even aware of its existence. Visitors to the Venetian won’t find any signs on the casino floor pointing to the Paiza Club. The exclusive space is invite-only and is typically reserved for the highest of high rollers. 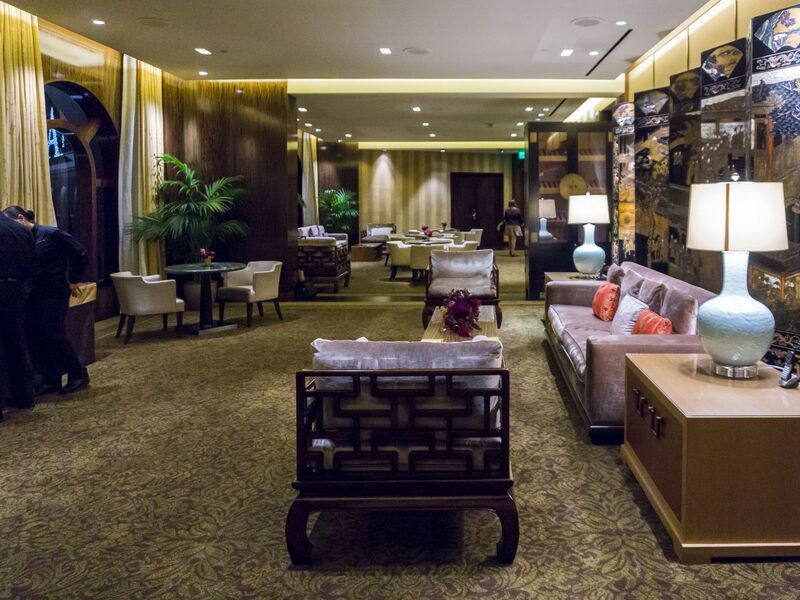 Once invited inside, guests are treated to fine Asian cuisine and just about anything else they desire. Located inside Naked Fish’s Sushi & Grill, HARI-Sushi Kaiseki is open Tuesday through Saturday by reservation only. 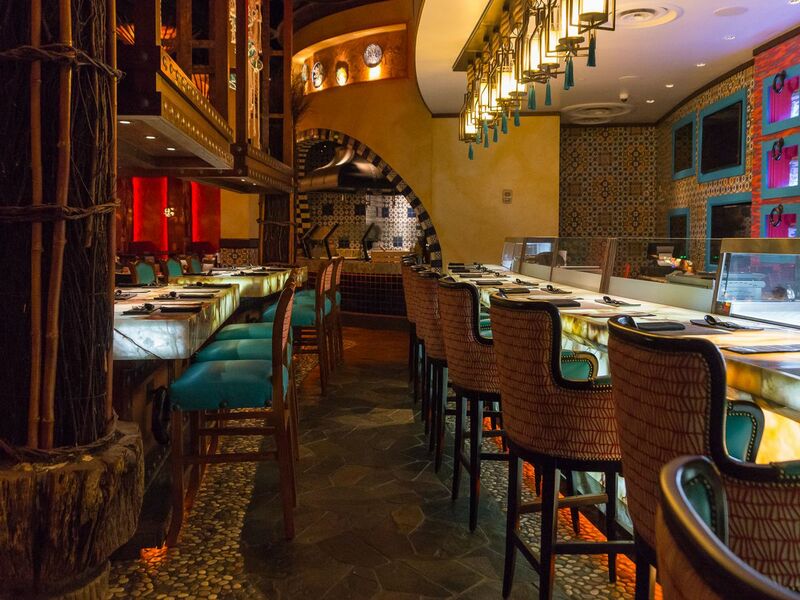 The restaurant treats diners to a traditional multi-course Japanese dinner with optional sake pairings. 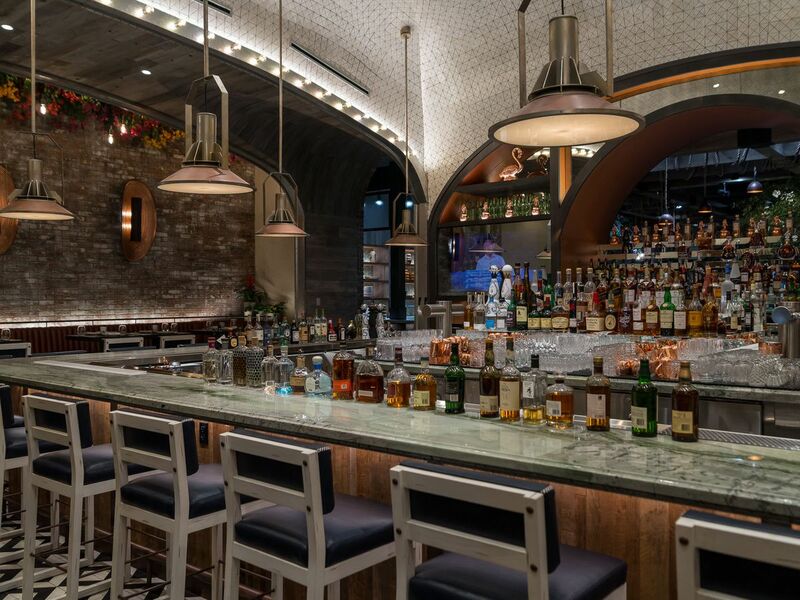 Interesting developments have been underway since the Palms announced its $620 million renovation in 2018. Notable culinary addition, Mabel’s BBQ, opened in December 2018 and subsequently added the carnivorous take on a speakeasy. 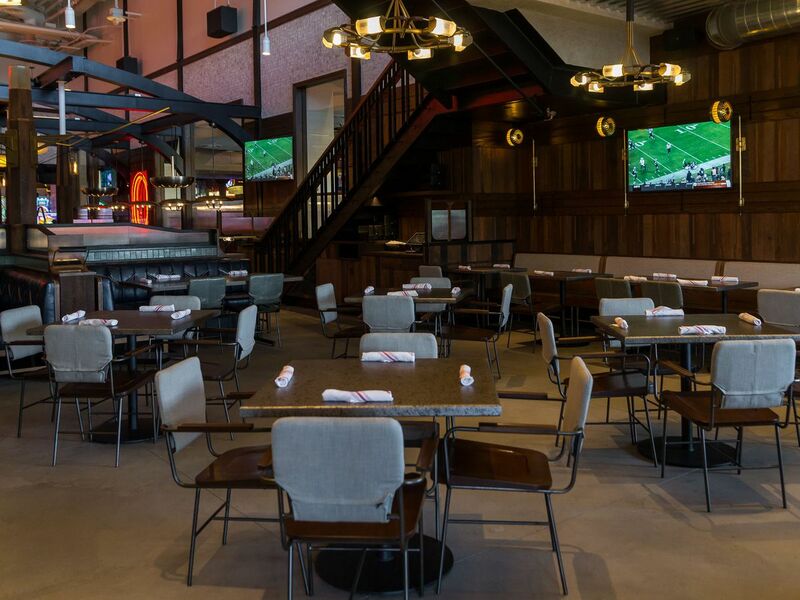 Sara’s, which is named so-called “meateasy,” is named after chef Michael Symon’s business partner’s late mother and seats 54 diners with a small menu of Continental fare including lobster, Dover sole, prime rib, and duck. A private room next to Jaleo’s bar holds a luxurious, performative dinner experience. 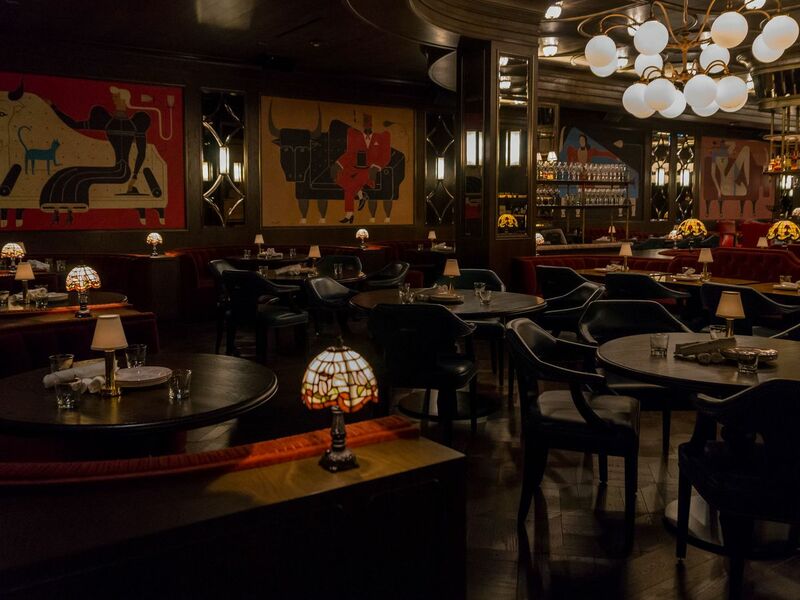 The exclusive é by José Andrés offers only two seatings per night Tuesday through Sunday at the Cosmopolitan of Las Vegas. At $275 per person, diners are enchanted by 20 courses that are as visually astounding as they are delicious. The dining room only seats eight and reservations often fill up three months in advance. Ghost Donkey isn’t easy to find, but it sure is worth seeking outside. 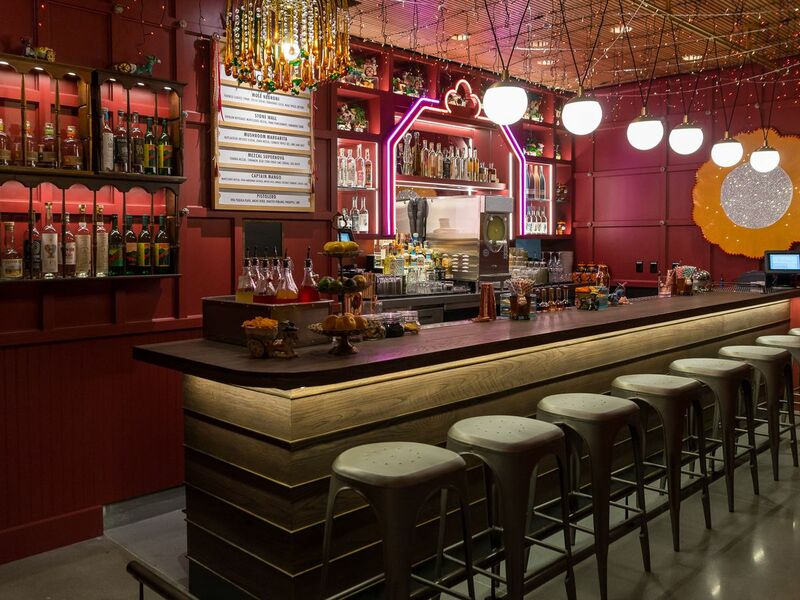 The secret tequila and mezcal bar is located inside Block 16 Urban Food Hall at the Cosmopolitan of Las Vegas behind an easy-to-miss door that’s marked with a simple donkey illustration. Inside, the bar is decked out in glowing red string lights and floral and donkey artwork. The tiny space offers limited seating and a robust selection of tequila and mezcal, plus speciality cocktails and nachos with eclectic toppings such as wild mushrooms, tripe, and black truffle. Late at night at the Cosmopolitan of Las Vegas, it’s not uncommon to witness a curious sight: crowds of people disappearing into a narrow, nondescript hallway. This is the unmarked entrance to Secret Pizza, technically named The Pizzeria, an after-hours pizza eatery with New York-style slices plus beer. In other words, it’s the perfect drunken discovery. The Talon Club is just steps away from the action of the casino floor at the Cosmopolitan of Las Vegas, but the ultra high-limit gaming that goes on inside will dissuade the common gambler from trying his luck. 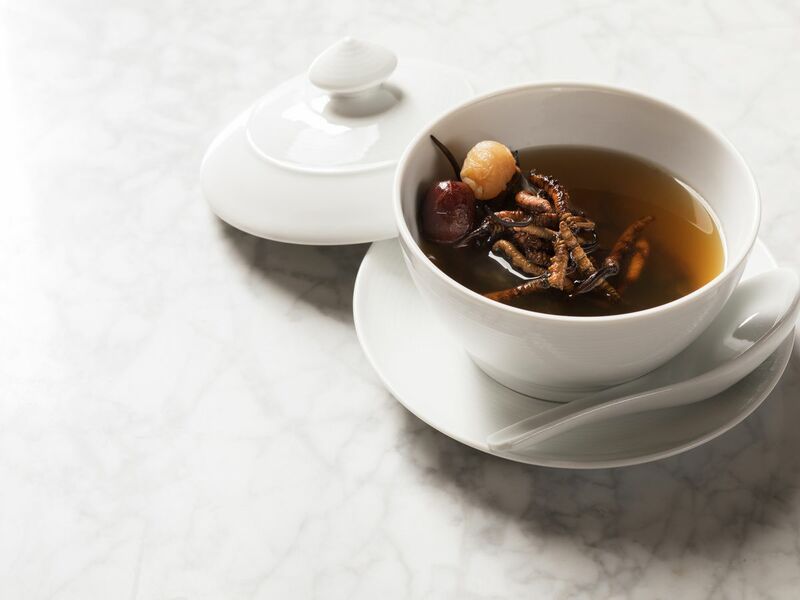 For those inclined to gamble big, the perks of high stakes include cuisine from chef Sam Yip (formerly of the Mansion at MGM) such as a specialty $688 bowl of soup featuring Cordyceps fungus, which is a rare Himalayan fungus with healing properties. On the surface, there’s certainly nothing secret about Catch. 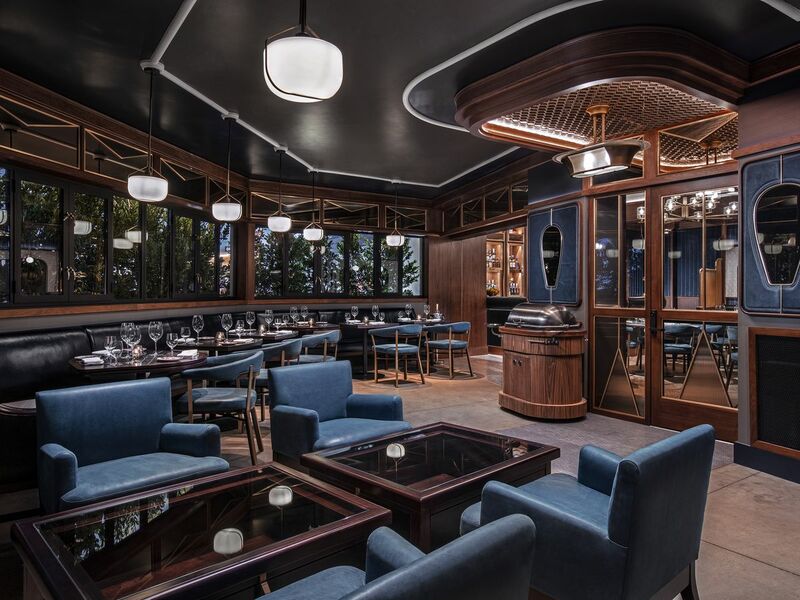 The seafood and steak restaurant, which also has locations in Los Angeles and New York, opened with a flourish at the Aria in October 2018 and diners have been flocking to stand beneath the ethereal, floral-draped entrance ever since. 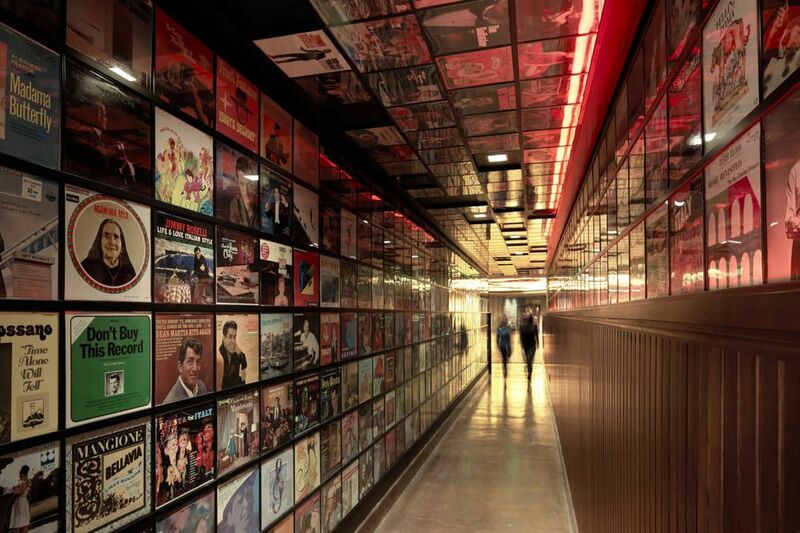 However, the lounge at Catch offers a more clandestine entrance. The leather and wood adorned space, which is inspired by the look of a private library, has a secret, VIP entrance. It would be easy to walk by the entryway to Bavette’s Steakhouse & Bar, but to do so would mean missing out on a swanky, refined steakhouse outfitted in leather furnishings and Tiffany lamps. The expansive restaurant inside Park MGM is the perfect spot to slip into the shadows and enjoy oysters, bone marrow and dry aged bone-in ribeye. An exploration of Bavette’s uncovers private dining rooms and a hidden lounge at the back of the restaurant. Located inside Mi Casa Grill Cantina at the Silverton, Su Casa is a hidden Asian spot that bridges that gap between its Mexican counterpart by building off of the seafood-focused menu of the larger restaurant. Here, diners will find sushi rolls and burritos, ceviche, ramen, poke bowls, and sake in a blue and red toned dining room.